Due to a mixup with the Penguin Hotel reservations, the MEBO Annual Meetup / Conference 2017 will have a change of venue. 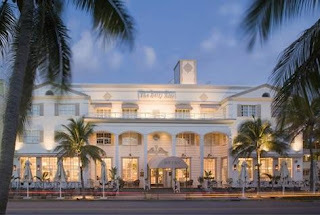 It will now take place in the library of The Betsy South Beach, which is only 4 buildings north of the former location. There will be a $10 cover charge at the door for those who arrive at the conference without having RSVP. Please RSVP to maria.delatorre@meboresearch.org. We will be meeting for dinner prior to the conference at a restaurant nearby yet to be determined. Light refreshments and desert will be served during the conference for up to 20 people. If you have not yet done so, please RSVP if you will be attending the conference. There will be a $10 cover charge at the door for those who arrive at the conference without having RSVP. PowerPoint presentation, "Foodstuff", by Professor Elizabeth Shephard, Ph.D, a MEBO Scientific Consultant and a member of the MEBO Institutional Review Board(a.k.a. Ethics Committee). The most perplexing aspect for all sufferers of breath and/or body odor is determining what diet to follow, and which foods could serve as triggers. Prof. Shephard wishes to address this question for us in her presentation. As an FMO3 expert, Dr. Shephard was awarded a grant of 358,000£ (GBP), which is an equivalent to 422K/Euros or 552K/USD, by the Medical Research Council (MRC) to carry out the initial research phase (2013-2016) of "Therapy for the body and Breath malodour disorder Trimethylaminuria (TMAU)". For more information, please see the Gateway to Research, Research Councils UK. Irene Gabashvili, Ph.D., MEBO's Scientific Director and member of the MEBO Institutional Review Board will be discussing the results of the pilot study of the MEBO Metabolomic Profiling Study, NCT02683876, registered with the U.S. Clinical Trials.gov. Dr Gabashvilli is the registered U.S. Principal Investigator of this study in collaboration with the other registered Principal Investigator, David Wishart, Ph.D., and his staff at the Metabolomics Innovation Center (TMIC) of the University of Alberta, in Edmonton, Canada. The aim of this study is the metabolomic profiling of urine samples of persons who suffer from uncontrollable body odor, halitosis, and bromhidrosis for the identification of novel biomarkers, metabolic signatures associated with malodor conditions, and mechanisms in the diagnosis and management of malodor associated with metabolic inefficiencies. The investigators will perform state-of-the art metabolomics tests and bioinformatic data mining to explore whether conditions leading to malodor can be screened by metabolomic profiling of urine samples. Based on the Pilot Study results, the research may continue to the following phase primarily with the aim of acquiring many more samples from sufferers to expand our database. Based on the patterns established by this profiling, Dr. Gabashvili, will attempt to identify and classify various causes of breath/body odor conditions and to determine effective treatment solutions where possible. Initially one or more of the following assays will be performed for this presentation, but ultimately, all 3 assays will be performed for the pilot phase of this study. A link to the TMIC website for each assay lists the range of metabolites that will be covered for this pilot study. We are very excited with the new discoveries of the 'Potential new causes for the odor-producing disorder TMAU and the article,'Genetic analysis of impaired trimethylamine metabolism using whole exome sequencing', (both published 15 February 2017), by the Monell Chemical Senses Center. Time will be dedicated in our conference for group discussion on these articles and on the Webinar presentation of Dr. George Preti and Yiran Gou, sponsored by RareConnect, to be held on March 27, 2017. Additional topics will also be discussed, time permitting. Please make sure that you RSVP if you are attending for the sake of time management during the conference, to and provide enough desert and refreshments for everyone.